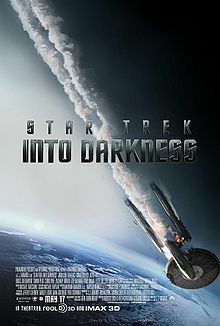 In the newest Star Trek movie, Into Darkness, Kirk faces a series of choices where the outcomes are lose-lose. Does he let Spock die or break the Prime Directive and reveal their ship to a primitive society? Does he allow their ship to explode or fix the problem but irradiate himself to death? Every time he makes a choice, it seems like someone is ready to tell him he made the wrong one. Finally Kirk is fed up. Granted, the situations Kirk faced are ones we’ll never deal with. And there are situations where we need to think about should and shouldn’t, right and wrong. But what about when we face a choice without a clear right or wrong? A choice where each path holds potential drawbacks. Maybe in those cases we should worry less about should we or shouldn’t we and think more in terms of can we or can’t we. Because there’s a difference, and making ourselves phrase the question as a can rather than a should often changes our perspective on the core of the issue. Last week, for example, my husband’s car reached the end of its life, and we started asking ourselves the inevitable questions. Should we buy a new vehicle or a used vehicle? Should we trade in my truck and go down to being a one-car household? I was making myself sick wondering what we should do. Once I started thinking about it in terms of can do, the answers were easy. Can we really afford a new vehicle without putting ourselves in a bad financial situation? Maybe some people would have said we should have taken on the crushing debt to buy a new car because of the warranty or reliability or it looks nicer. Phrasing it as a can question made the answer simple for us. Can we really afford to pay for and maintain two vehicles when my husband goes back to school in the fall? Maybe some people would have said we should keep two vehicles because of the inconvenience of me not having a car at my disposal. Phrasing it as a can question, though, helped us get down to what was really the issue for us. We’d made a choice to sacrifice in the short-term to send my husband back to school in order to help us reach our long-term goals. We can’t make payments on two vehicles while sending him to school, and my truck doesn’t get good enough gas mileage to be our sole vehicle when he’ll have a two-hour commute each day. Yes, it’s semantics, but changing the way we ask a question can sometimes also change the way we look at it. Is there a question you’re facing where the answer becomes easier if you ask it as a can rather than a should? If you’re in a two adult household, do you share one car or each have your own?